Chou & Chou bamboo nursing covers may also be used as a maternity top, scarf, shawl or cardigan! Nursing in public never looked so effortless, so stylish, or so inconspicuous. Chou & Chou’s multipurpose nursing cover goes beyond the typical layer of breastfeeding privacy: it may also be used as a maternity top, a baby blanket, a stroller cover, a scarf or shawl, or even a cardigan.The nursing covers, which are 95% bamboo (the other 5% is spandex to allow for a little movement and flexibility in usage), have a super soft and silky texture, yet are thankfully machine-washable. 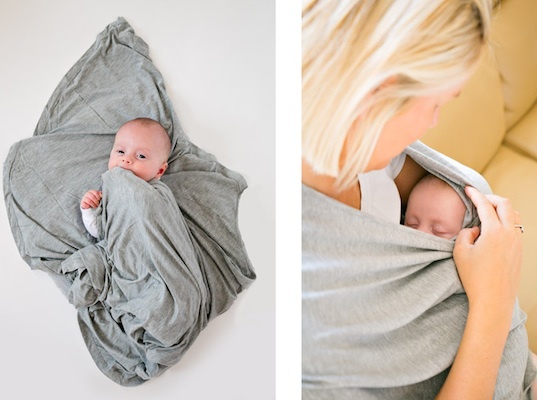 Chou & Chou was founded by a breastfeeding mama who felt frustrated by the lack of stylish nursing cover options on the market — and she wanted to create a cover that could simply blend in with a mom’s style. Available in a neutral camel color, blue, black, and grey, the affordable nursing covers are great staples to have on hand throughout pregnancy, early maternity, and beyond. Think you’ll be all thumbs when it comes to figuring out the different ways to wear the nursing cover? Check out Chou & Chou’s easy instruction card and video. Nursing in public never looked so effortless, so stylish, or so inconspicuous. Chou & Chou's multipurpose nursing cover goes beyond the typical layer of breastfeeding privacy: it may also be used as a maternity top, a baby blanket, a stroller cover, a scarf or shawl, or even a cardigan.The nursing covers, which are 95% bamboo (the other 5% is spandex to allow for a little movement and flexibility in usage), have a super soft and silky texture, yet are thankfully�machine-washable.